The most famous literature from Finland are probably the Moomin books by writer Tove Jansson. Her books have been adapted into television and film and have even inspired a museum in Tampere. Tove herself was very aware of dancing and different styles in dance. You might recognize in her art work different social dances of the post war era, as well as classical ballett, but also, more supprisingly the modern dance - a dancing style that rejects many of the strict rules of classical ballet, focusing instead on the expression of inner feelings. Just like Vilijonk does in her stormy weather solo. One of our favourites. So, we can see the Moomins can, and they do dance, their friends dance, even nature itself dances, within their own style and personality, come what may. 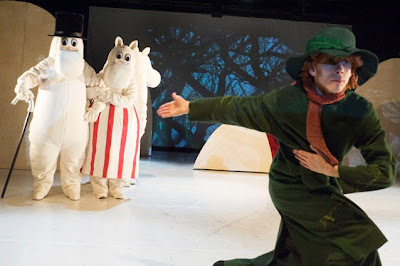 Dancing Moomins celebrated this February the 100th performance. 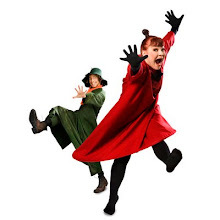 Since its premiere, Dancing Moominvalley ensemble has been touring abroad for instance in Fukuoka (2009), in Shanghai (2010), in San Diego and Essen (2011), in Stockholm and Tucson (2012), and in Houghton (2013). The definate highlight was when the project got selected into the Finnish Export Promotion Programme 2010 and eventually then received Shanghai EXPO Culture Award! Next year is going to be the 100th anniversary year of Toves birth. 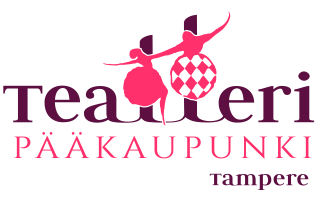 So, Dancing Moomins continue touring here in Finland and abroad. We are working closely together with creative teams responsable for the anniversary years happenings. We are very much looking forward to seeing you in the audience. More detailed info coming up soon.